Morning. Which equalled school. But the bed was sooo comfy, so much comfier than normal. With all her will power she got up, feeling her natural curls bouncing around. Coming to teenage hood she had discovered the straightener. She must’ve had some dream for her hair to be this frizzy. But something was wrong. Something was very wrong. She gasped. She was in Mr.Menog’s bed! Oh NO! Had she? Had they? Mr.Menog shifted and mumbled. Selana looked back fearfully. Now what was she supposed to do? She ended up running in circles among a bunch of trees. She didn’t know where she was, but she didn’t care at that point. She kept remembering the events. 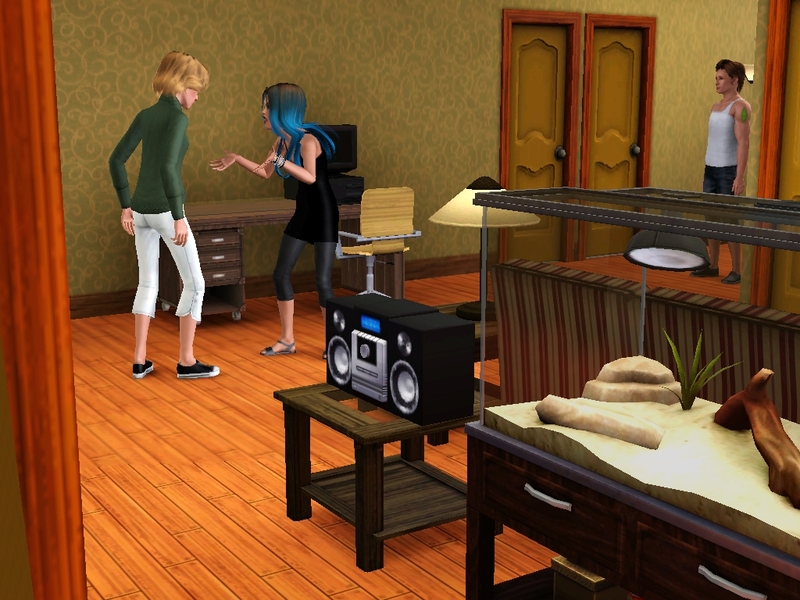 Him giving her a drink after they’d kissed. It had been an odd thing to kiss him, and it hadn’t felt all that right. Why had she accepted the drink? It was a stupid thing, why had she done that? WHY? Why was she so stupid? Her sister would’ve never done such a thing. Selana cried silently for a few minutes, hating herself the whole time. It was already full morning when Selana heard the pounding of hooves and her brother’s relieved voice. Selana didn’t say anything, just hugged him back. She barely made it in when she practically heard her sister’s smirk. “She’s finally back.” Aryssa said. Selana noticed a man on the sofa. A man she didn’t really recognize. But at that moment she didn’t feel like looking at anyone, they would all look at her in shame if they discovered what she had done. So instead she ran to her room. “What!? It’s not my fault!” Aryssa protested to something her mother had said. Selana closed her eyes against the tears. For the next two weeks Selana barely came out of her room. She didn’t go at all at school, she was too scared of facing Mr.Menog. For the first few days all her family would knock at the door asking her to come out. She’d locked it. Aryssa gave up pretty quickly. Patrick was next, then Leo and then her mother who came by occaisionally to give her her meal. The only one who kept pounding on her door was Cole. He kept saying he needed to talk to her, saying it was important, that she needed to listen. But she didn’t, she kept playing her guitar. If she went outside she’d start crying again, and she might even get to the point where she told them everything and that would be bad. That would be very bad. It was on one of these usual days that Selana heard screaming outside her door. She peeked through and watched. Her sister Aryssa, who’s appearance had changed dramatically was yelling at her mother. That man was there again. “Don’t put this on dad!” That man was her father? Then the father decided to intervene. “YOU-! You know what? It’s over Alfie! Here take that stupid ring back I don’t even know why I kept it anymore, you were gone for at least ten years! 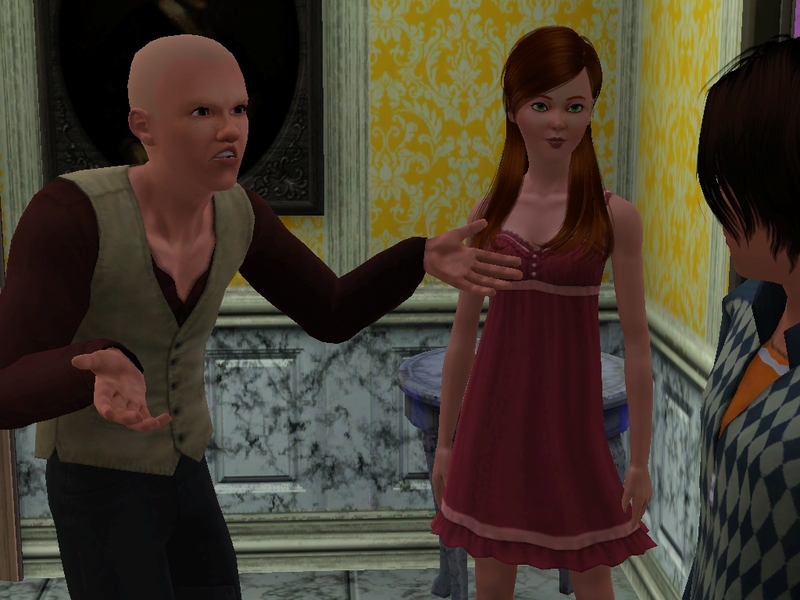 Now get the hell out of my house and I don’t want you seeing my daughter anymore! GET OUT OF HERE FOR GOOD!” The shock of the yelling almost made Selana shrink back into her room. But she saw her sister’s face. The face she gets when she’s boiling with rage and weirdly loving it. Alfie grumbled a fine before leaving out the door. Rosa’s face was turning to sadness when Aryssa jumped onto her. “MOM! Why’d you effin’ do that? What is wrong with you?” And without another word Aryssa ran to her room, leaving a distressed Rosa who in turn went to her room. 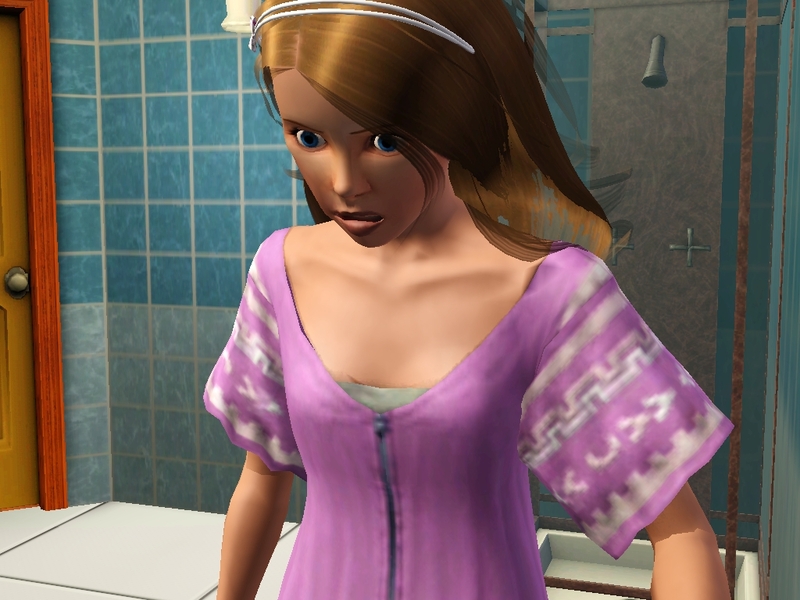 Selana barely had time to process what had just happened when her stomach started to feel weird. 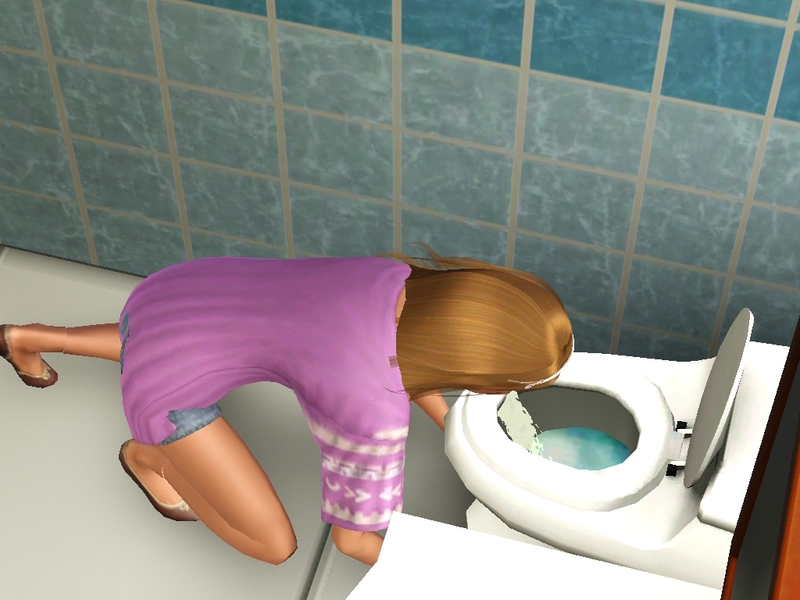 The next thing she knew she found herself vomiting in the toilet. You see Selana wasn’t stupid. She knew she didn’t have the flu and she also knew that two weeks ago (I did research yes morning sickness can happen this early) , she woke up in a man’s bed after having been drugged. So she took one of her mother’s pregnancy tests and did the test. But her brother had come in startling her and she dropped it right after seeing the result. Cole picked it up, looked at it and then looked at his sister. She nearly froze in horror waiting for what he was going ot say. “What?” How had he guessed so easily? 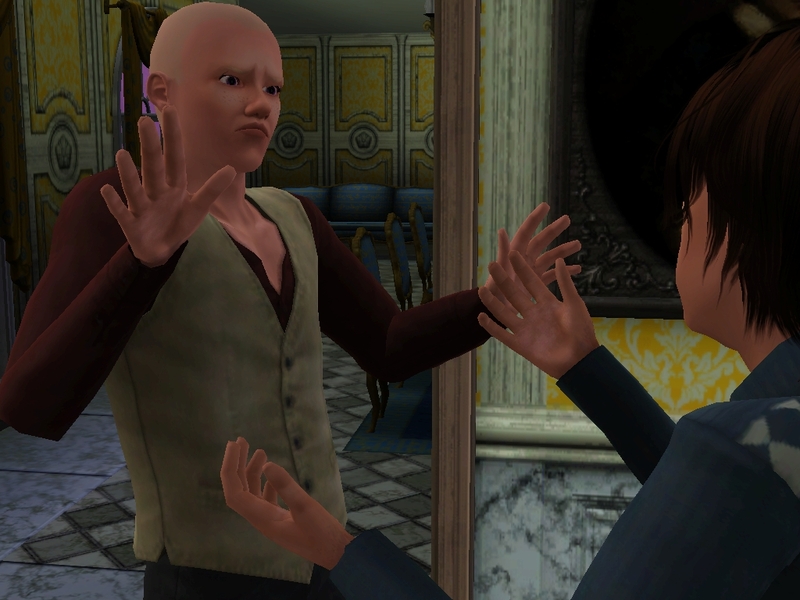 “NO!” Selana interrupted, it was already bad he knew. “Thank you Cole.” Selana whispered. And Cole respected Selana’s wishes. It wasn’t his fault that when he went to visit Candy, that her father just happened to be Mr.Menog. 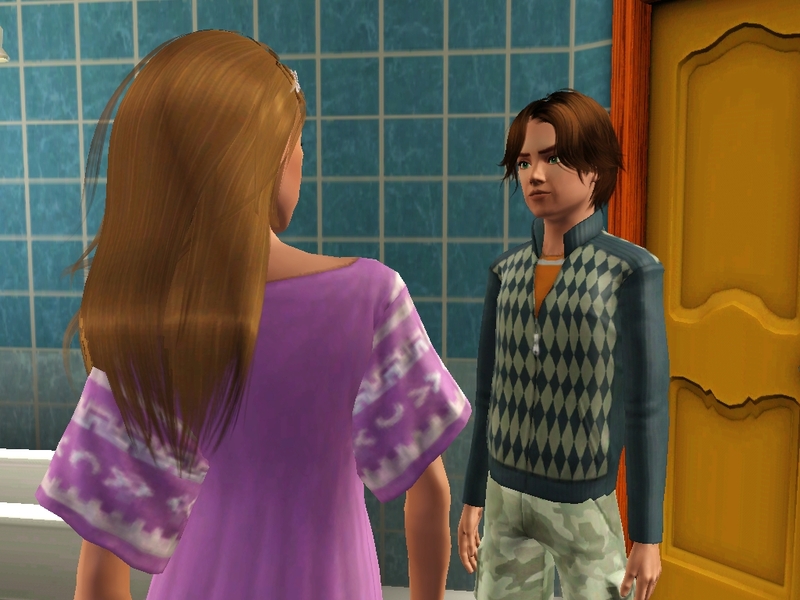 Cole confronted him immediately on the matter of his sister. Mr.Menog did not react well. 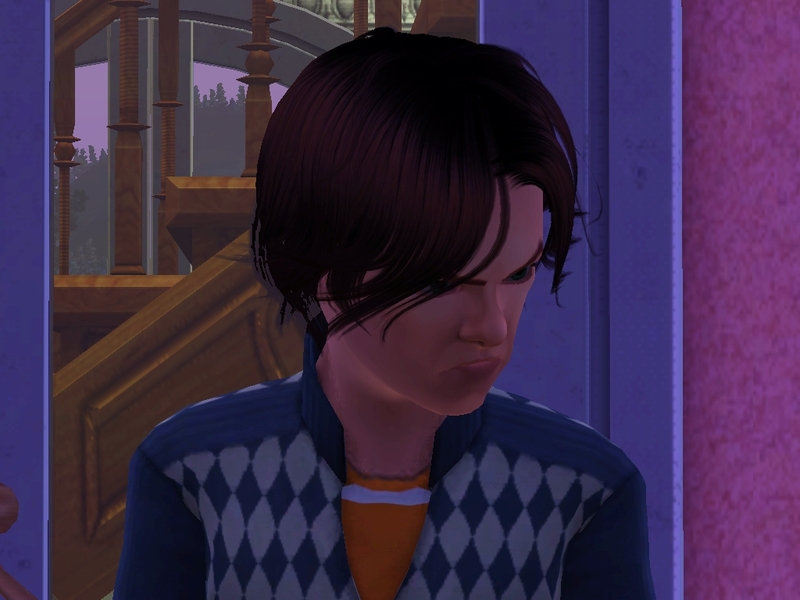 He countered back denying everything and demanding to know why Cole was being so rude in his house. This did not impress Candy. But at that moment Cole didn’t care about this crush of his, he might not have been the best brother, but he still loved his sister, and he wanted to protect her. So he yelled back that he had proof and that he’d bring this man to court and he would pay. And then Mr.Menog laughed. He laughed at Cole almost daring him to. 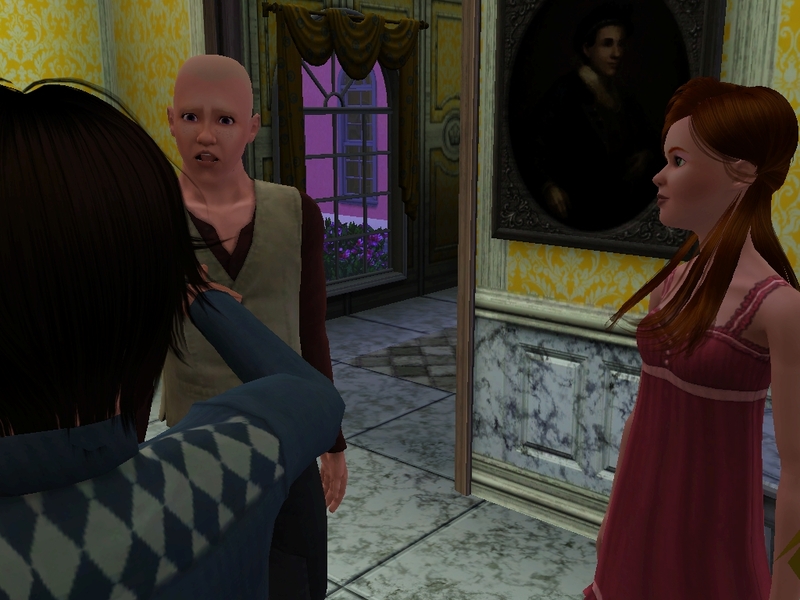 Afterwards he proceeded to kick Cole out of his home. Yes Cole said he wouldn’t tell anyone, but if wanted to take this guy to court he needed his mom’s help. So first chapter of the second generation! I guess it is a bit dark…I had so much fun creating Aryssa’s new look, it’ll be hard letting go of all the plans I had for all the others, but now it’s all bout Selana. So Selana’s pregnant by Mr.Menog! It was probably very obvious…he denies everything, but Cole has proof of what happened, that’s what he saw on the english teacher’s computer, cause the english teacher is Mr.Menog. Mr.Menog thinks Cole is just bluffing. 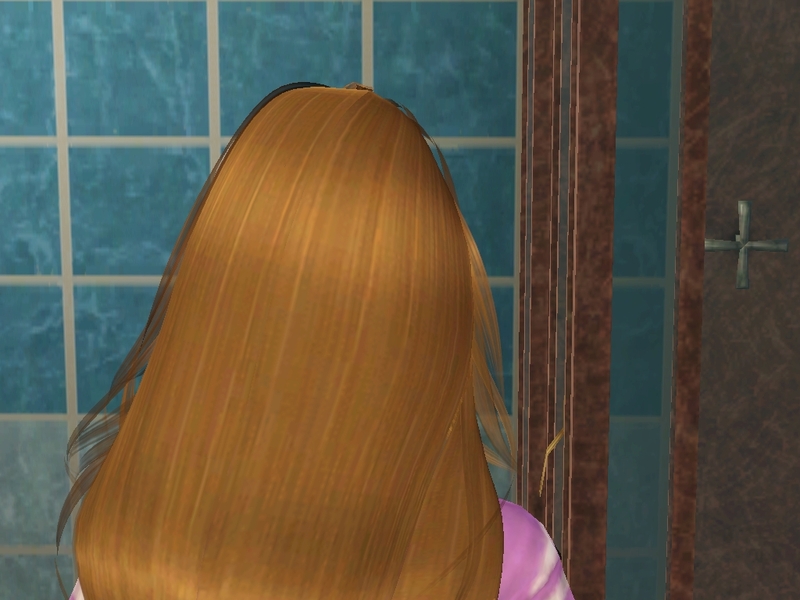 Selana doesn’t want anyone else to know, she’s ashamed even though it’s not her fault. She was maniuplated. It also seems Cole is finally acting like a brother, look at that! 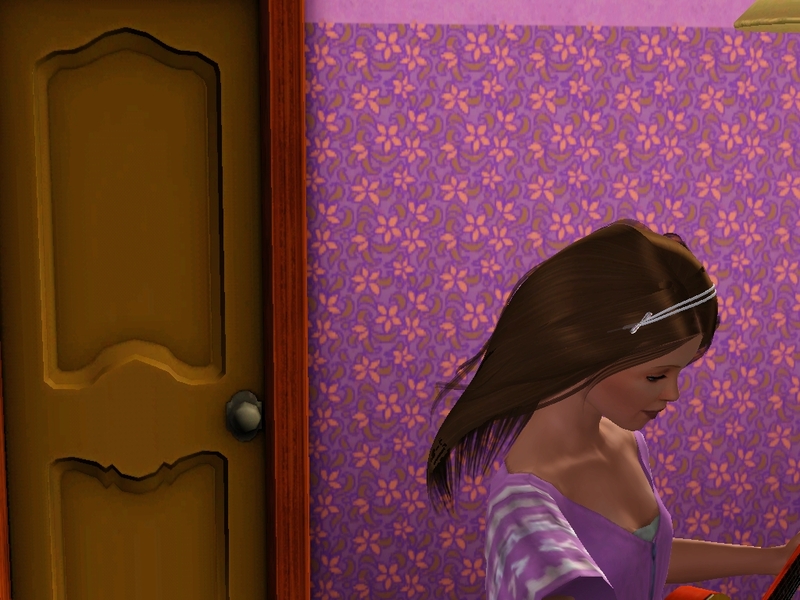 This entry was posted in Uncategorized and tagged alfie, aryssa, baby, candy, cole, english teacher, evidence, generation 2, legacy, leo, mr. menog, patrick, pregnant, rosa, selana, sims, sims 3, sims 3 legacy. Bookmark the permalink. Thanks, yeah Selana is convinced that it’s her fault since she willingly went into his house and drank something from pretty much a stranger.